to 14’’ or industrial hose up to 14’’. open as big as 100mm + 300mm =400mm. So all standards of flange could go through. 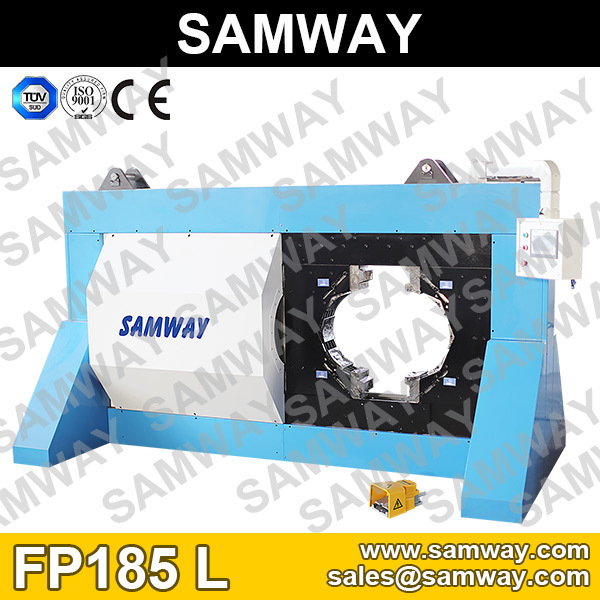 The low hose assembly crimping center is only 650mm above the ground. Makes the hose assembly process easier and comfortable. high quality Industrial & Composite hose assembly and industrial hose up to 14’’.